From 1905, the year he obtained his doctorate, through the 1920s, Albert Einstein made a series of discoveries and formulations that fundamentally changed mankind’s understanding of time, matter and the foundations of reality. Though Einstein devoted his later decades to political activism, his most notable scientific breakthroughs earned him a permanent place in the annals of history and spawned the development of entirely new fields of study. 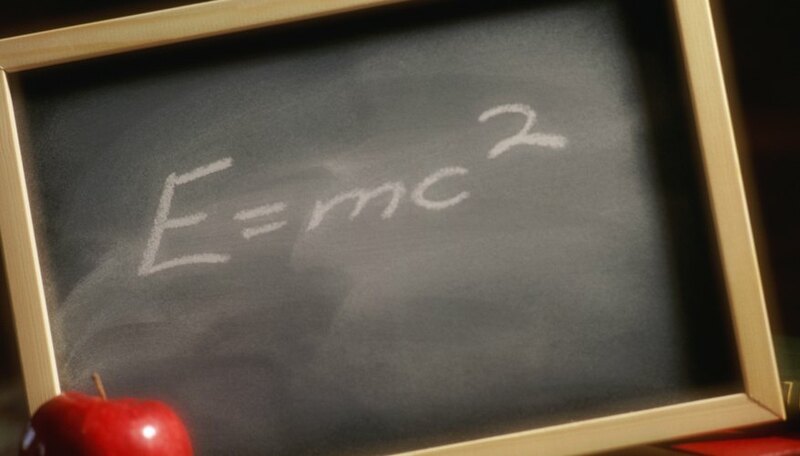 Arguably the most famous and recognizable scientific formula of all time, E=mc^2 appeared in Einstein’s “Special Theory of Relativity,” first published in 1905. The formula shows how an object’s mass derives from the division of its kinetic energy by the square of the speed of light. The formula’s groundbreaking conclusion presents energy and mass as interchangeable entities and unites three apparently disparate natural elements. The equation has profound implications for the development of new power sources and shows how the pressure and heat at the heart of the sun convert mass directly into energy. Einstein’s “General Relativity,” published in 1915, picked up where “Special Theory of Relativity" left off. The underlying notion of general relativity develops from the inclusion of acceleration into the previous theory. The most significant aspect of general relativity describes the distortion that massive objects render upon space-time. This distortion draws smaller objects toward the larger, which explains the existence of gravity. The presentation of space-time as malleable means that time itself is not a constant. Einstein’s theory of general relativity has garnered confirmation from observed phenomenon, such as gravitational lensing and changes in Mercury’s orbit. General relativity also contains the first implications of dark matter. An error remarked upon by Einstein and his colleague, Willem de Sitter, contributed to the discovery of dark matter in Jan Oort's observations of stellar motions. Einstein’s theories of relativity rely in large part on his notion of the speed of light as an absolute. Prior to this, conventional knowledge held that space and time served as the absolute concepts upon which physics was founded. Einstein held that the speed of light remains the same under any condition, even in a vacuum, and can never increase. For example, an object hurled at the speed of light from a vehicle moving at the same speed would not advance past the vehicle. Einstein also presented light as a collection of particles, rather than a wave. This theory, which won Einstein the 1921 Nobel Prize in Physics, contributed to the development of quantum physics. In a 1905 paper, Einstein presented an equation that explained the random movements of particles, known as Brownian motion, as resulting from impacts with hitherto unknown molecules, which provided the foundation for particle theory. 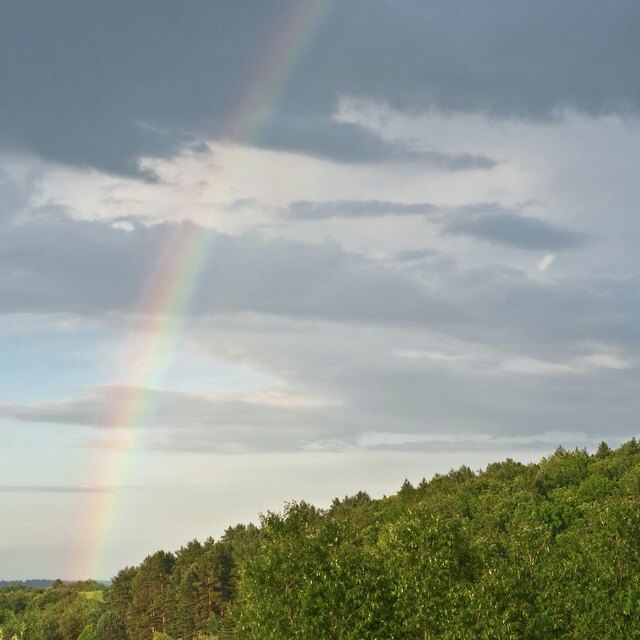 In 1910, Einstein published a paper on critical opalescence, which explains the phenomenon of light dispersion that gives the sky its color. In 1924, Einstein drew implications from Satyendra Bose’s theory on the composition of light to explain the structure of atoms. The so-called Bose-Einstein statistic now provides insight into the assembly of boson particles. Matus, Douglas. "The Major Breakthroughs of Albert Einstein." Sciencing, https://sciencing.com/major-breakthroughs-albert-einstein-23771.html. 24 April 2017.